Henri Leon Vergez, Jr., passed away on October 30, 2018 in Covington, LA, at the Village in the Oaks. He was born on November 8, 1946, in Bogalusa LA, to Thelma Galloway Vergez and Henri L. Vergez, Sr. He is survived by his daughter, Marcelline (Marcie) Vergez Behrens, of Yukon, OK, a sister, Sharon V. Vercellotti (John), of Covington, LA, his former wife, Ronda Walker Behrens, of Covington, LA, a niece, Ellen T. Vercellotti, and a nephew, Paul A. Vercellotti. Leon graduated from Covington High School in 1964, where he gained a college preparatory diploma and played football under Coach Jack Salter. Leon was very proud of his military service during the Vietnam War. He was a Load Master on a C 130 aircraft. 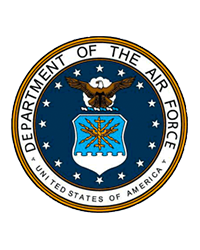 He attained the rank of E-5 (sergeant) in the United States Air Force. After his military service he attended Southeastern Louisiana University, Hammond, LA, and earned, in 1976, the Bachelor of Science degree with a major in Industrial Technology and minor in Architectural Drawing. He attended as a postgraduate the Tulane University School of Architecture in 1977-78. From his boyhood, at the family machine and welding shop in Covington, he mastered skills in metal working, welding, and structural design, which he used in his future professional career and teaching. He taught for many years at the Hammond State School and Southeast Louisiana Hospital at Mandeville, LA, in Vocational Rehabilitation until he retired. Mr. Vergez has been a member of the Veterans of Foreign Wars of the U.S. and the Disabled American Veterans. Sincere thanks are made to the staff of The Village in the Oaks for their loving care over the eighteen months he has spent there. Community Care Hospice of Hammond, LA, attended him in the last eight months of his life. In particular, the devoted, tireless care generously given to Henri Leon during his last six months by the Sophia Baker Health Service sitters is also most appreciated. In lieu of flowers please make donations in his name to the Covington High Football Program or to the Wounded Warrior Project, PO Box 75817, Topeka, Kansas 66675-8517. The remains are with Bagnell Funeral Home at 75212 Lee Rd, Covington, LA 70435. A memorial service will be held at the Bagnell Funeral Home on Saturday, November 3, 2018 at 10:00 a.m. Interment will be later at the Southeast Louisiana Veterans Cemetery in Slidell, LA.